When I'm confused and can't see what is next on my path, I always ask God to send me clarity and confirmation. 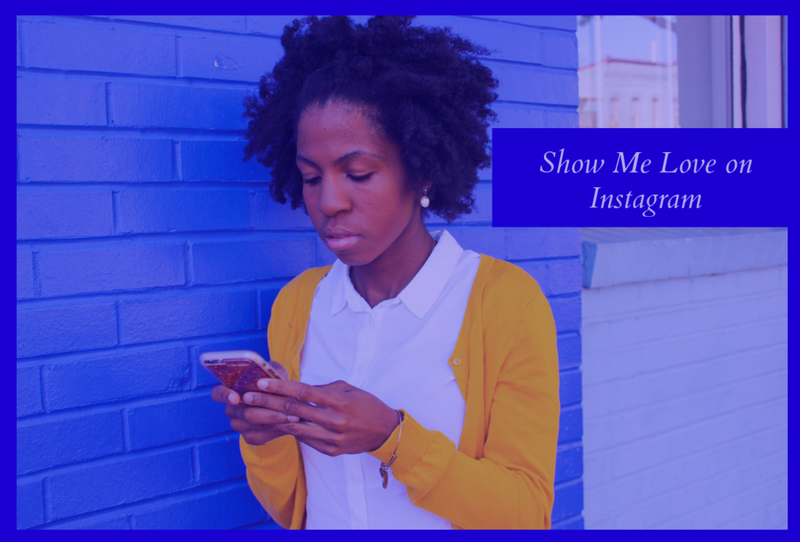 It can be as simple as seeing an inspirational quote on Instagram that speaks to my situation or finding $40 on a busy NYC street (yes, this has really happened to me). Regardless of the form in which God decides to send His message, I always listen and express my gratitude for the plan He has for my life. 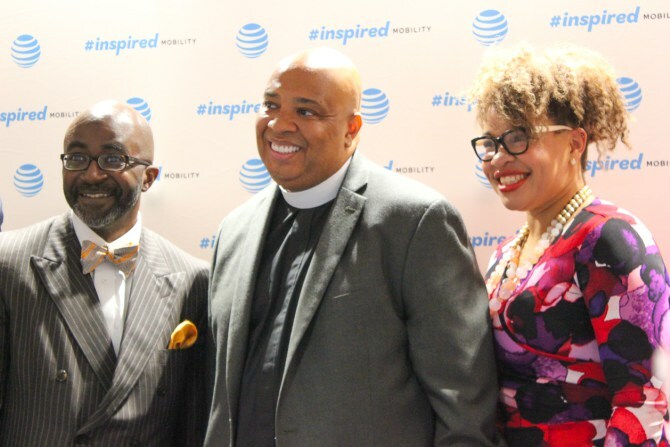 A couple of months ago, I was discouraged about the future of Don't Die Afraid but after becoming an ambassador for AT&T's #InspiredMobility I realized the importance of my message. My message truly is a catalyst for change and I need to own it! "My message truly is a catalyst for change and I need to own it! 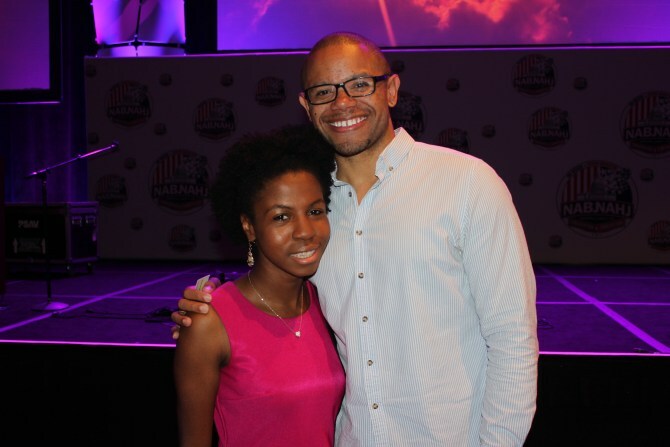 #DontDieAfraid"
During the NABJ & NAHJ Convention (#NABJNAHJ16) God sent me clarity and confirmation through the workshops, especially during the #InspiredMobility chat with Alfred Edmond Jr. and Rev. Run. Every time I interacted with someone, it felt like God was speaking right through them. It was actually pretty bizarre how accurate the messaging and timing was. Below are 5 quotes that spoke to my soul during #NABJNAHJ16 that can be helpful if you are experiencing a stage of uncertainty or growth. ♦ Moment of Clarity: Frequently we get caught up in looking at the blessings others are receiving, so we want to do exactly what they are doing in order to gain success. Then we have the nerve to get frustrated when we don't see results. We fail to realize that each of us are walking on tailor-made path. We would see success if we listen to the plans God has for us instead of trying to covet the blessings of those around us. I constantly struggle with this so hearing this word from Rev. Run snapped me into grind mode. I have to keep working hard for what God has in store for me. "Don't ask God for it if you don't think he's going to give you the answer @RevRunWisdom"
♦ Moment of Confirmation: Asking God to show up in your life but not trusting that He will show out, is a slap in His face. Commit to do your best work, write down your intentions of what you want God to do in your life, and then leave the rest to Him. I've been dealing with some turmoil the past month and I went to the Lord in tears, and He asked me, "Do you not believe that I am, who I say I am?" So I had to bounce back to reality and respond, "Lord, You are who You say You are." That sentence brought a sense of calmness over me because I had no choice but to trust Him. Clearly, Rev. Run was dropping gems, click to read more of his inspirational quotes. ♦ Moment of Confirmation: If you use your social media platform to inspire others- KEEP INSPIRING! Even if you don't feel like you get enough likes, comments, followers, retweets, or shares, know that you are still contributing to the positive power of technology. 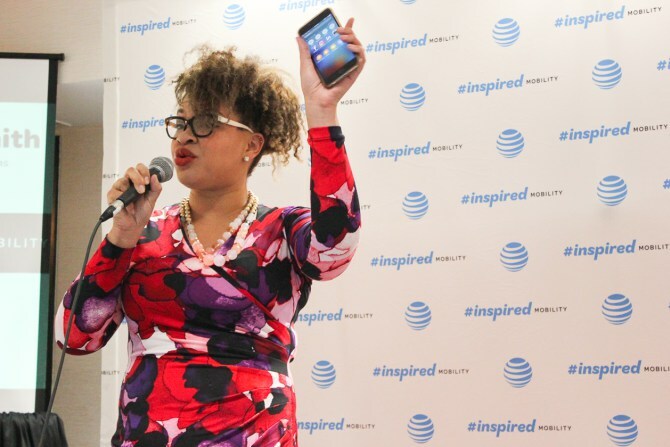 It's astonishing that AT&T's report discovered 80% of people are receiving inspiration from their mobile devices! Technology and social media are often classified as making us more dependent, weakening our interpersonal skills, and creating jealousy because it only reveals highlight reels; but this study reveals that there is inspirational content that is helping readers. This report confirmed that I have to keep building my Resilient Family and the Don't Die Afraid empire because people need a haven they can depend on that inspires them to realize their circumstances don't hinder their future. ♦ Moment of Clarity: In the midst of our trials, we frequently forget about the sunshine we’ve experienced because all we can see in front of us is stormy clouds. Jarrett Hill received the spotlight for revealing that Melania Trump stole a whole paragraph from First Lady Michelle Obama's 2008 speech. Before the accolades, Jarrett was dealing with unemployment and the uncertainty of knowing the trajectory of his future. When seeing the struggles of others around him, Jarrett reminded himself, "It could have been me." That one simple realization helped him see his blessings in spite of the hard times. Currently, I'm a full time content creator, not by choice- but instead by necessity, as I look for a job. I'm in the same position Jarrett was months ago. Do I feel discouraged every once in a while? Yeah, but testimonies like his help me remain resilient. ♦ Moment of Confirmation:We get caught up in the misconception that health is something static, solely existing in our doctor's hands. When the truth is: racism, residential segregation, education policy,income distribution, urban planning, and tons of other social determinants have the greatest impact on our health. This is why it is imperative to advocate for quality in all these aspects of our lives. I expected #NABJNAHJ16 to provide knowledge only about journalism and new media. When I saw the abundance of sessions on health, I was ecstatic and reassured I will soon find a way to combine my Broadcast Journalism B.A. and my Master of Public Health. I'm grateful for this opportunity and the relationships I formed with the other AT&T influencers *pictured above* who poured into my life. 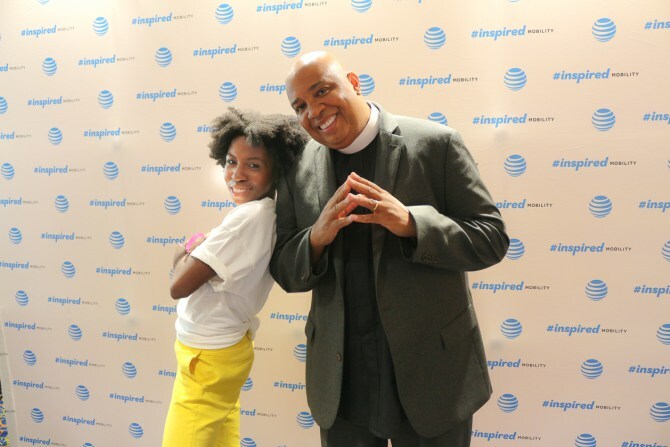 This experience at #NABJNAHJ16 with AT&T's Inspired Mobility refueled me to continue to do do what I love, by inspiring my Resilient Family. Now Tell Me What's On Your Mind: How do you use technology to find inspiration? You can join in the conversation by sharing an inspirational thought, photo, meme or video and using the hashtag #InspiredMobility. Disclosure: Thank you to AT&T for sponsoring this post. You my Resilient Family know that all thoughts and opinions are my own. Thank you for supporting the companies that value my unique voice!